Shorter RV Caravans and RV Rallies. I am Ready to Make My Reservation. Start a Conversation with an RV Travel Pro. 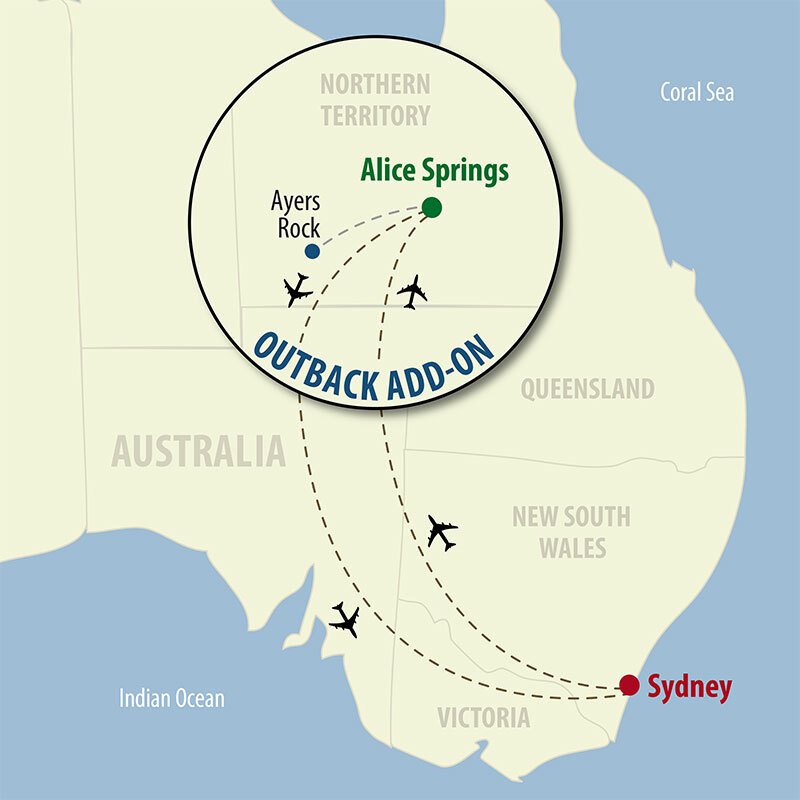 Fantasy’s optional add-on Outback journey begins at the conclusion of the Australia & New Zealand Tour with a flight to Alice Springs from Sydney. While exploring “Alice,” you’ll meet the Aboriginal people, sample their local cuisine and experience their art, culture and unique way of life. At Ayers Rock (Uluru National Park), you’ll understand the spiritual significance of this massive, 550-million-year-old sandstone monolith. Only a few spots available! Our Travel Experts are here to help! Call 800-952-8496 so we can discuss which RV vacation is perfect for you.